My colleague Anne-Marie Scott has written a lovely blog post about an obscure 17th century map of Iceland that was released under open licence by the University of Edinburgh’s Centre for Research Collections and found fame on the Commons thanks to Wikipedia, the Euro 2016 Football Championships and Creative Common’s State of the Commons Report. Last year for Halloween, Wikimedian in Residence Ewan McAndrew ran a spooktacular Samhain Editathon at the University of Edinburgh complete with Fairy Porters, skull candy and Jack-o’-lanterns. 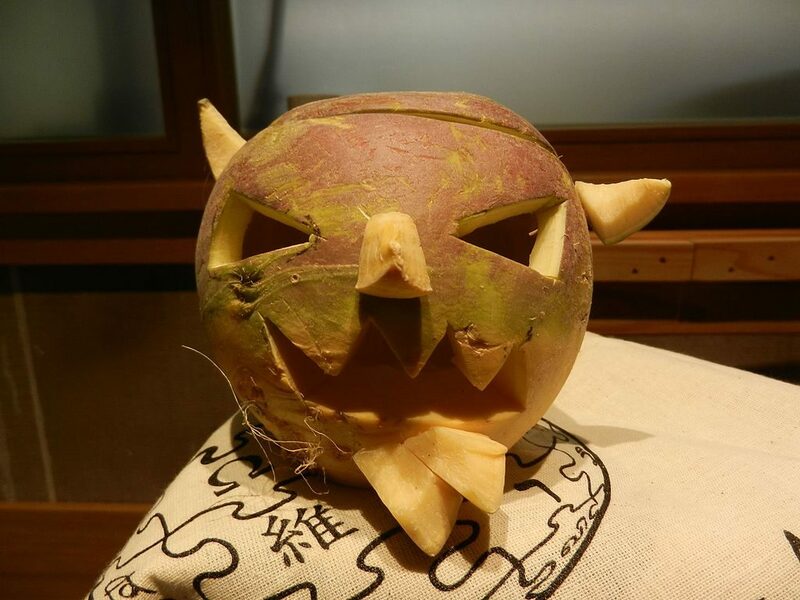 Now anyone brought up in Scotland will know that the only appropriate vegetable* for the creation of Halloween lanterns is the humble tumshie. 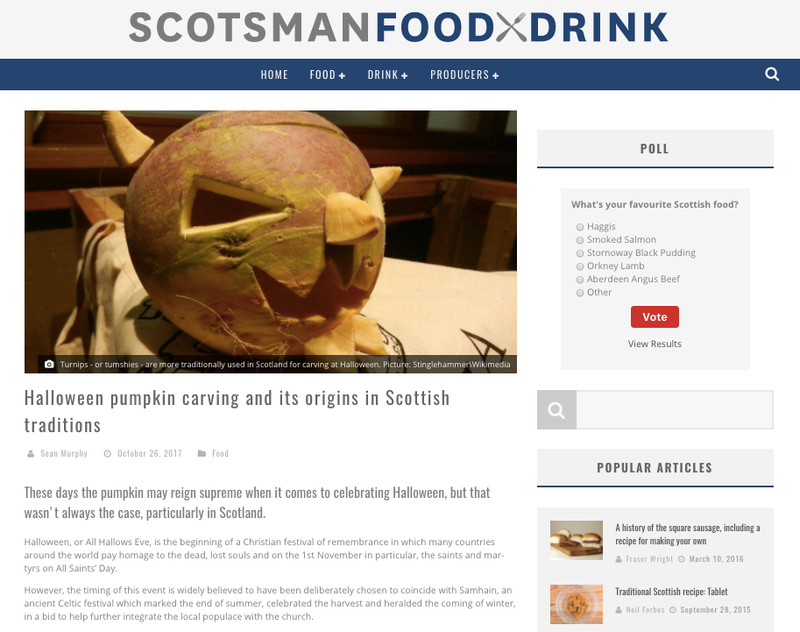 Unlike that North American interloper, the pumpkin, carving a tumshie require patience, dedication, a sharp knife and a strong elbow. For generations, Scottish children have quite literally risked life and limb in their attempts to hollow out rock-hard root vegetables. Now being a bit of a purist when it comes to Scottish traditions I decided that the only permissible contribution to the Samhain Editathon would be a proper tumshie lantern so, heedless of injury, I set about carving my neep. And here’s the result. Spooky! < cliche > Imagine my surprise </ cliche> when last weekend, a whole year after the editathon, Ewan re-tweeted this article from The Scotsman newspaper. That’s my tumshie! It’s come back from the dead as a reusable open licensed resource thanks to Ewan uploading his photographs to Wikimedia Commons. Isn’t that cool? The traditional Scottish tumshie lantern lives on on the Commons. * I know pumpkins aren’t a vegetable, they’re a type of berry known as a pepo. Don’t @ me. This entry was posted in Wikimedia UK and tagged oer, open, OpenEdFeed, wikimedia. Bookmark the permalink. Thanks for the shout out Lorna, and thanks for risking serious bodily injury carving rock-hard tumshies in the service of OER. There must be an open badge for that? (I also have a friend from the north of England who has the saddest story about carving a lantern from a potato with a tea-spoon, sadly no piccies). We need an open badge for tumshie carving adorned with crossed knives and surmounted with a band-aid.